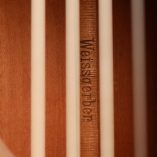 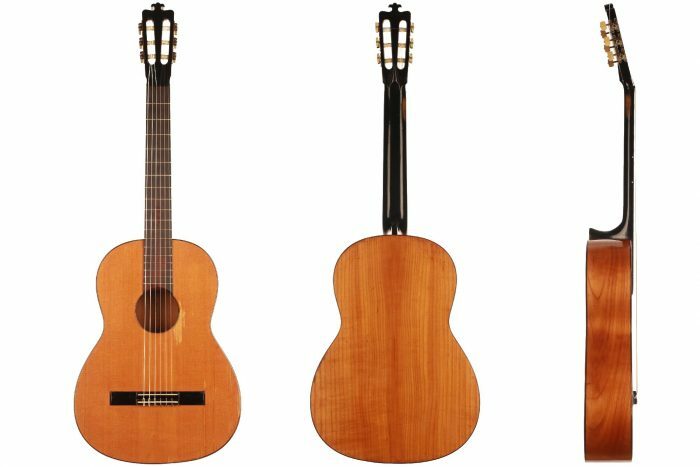 Richard Jacob “Weissgerber” was one of the most creative, innovative and certainly the most versatile guitar maker of the 20th century. 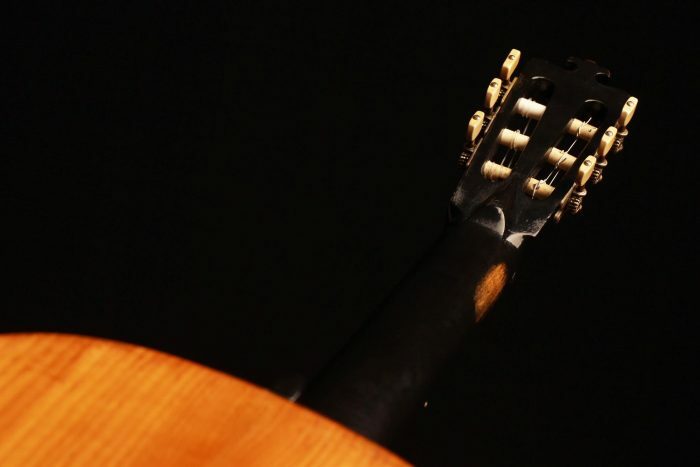 Neither in Germany nor in the world has there been or is there any other master whose work, in its multiplicity, would be comparable to that of Richard Jacob. 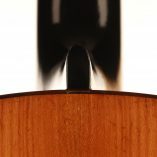 The variety of his models, their shapes and designs are unique. 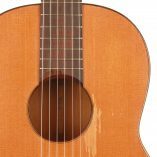 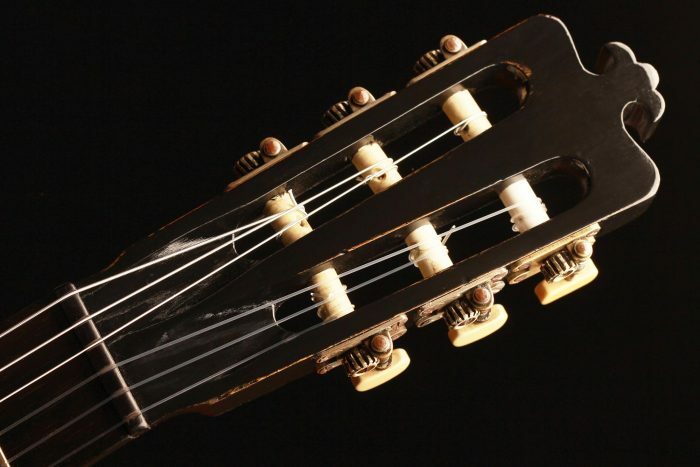 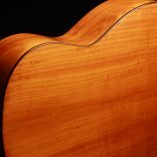 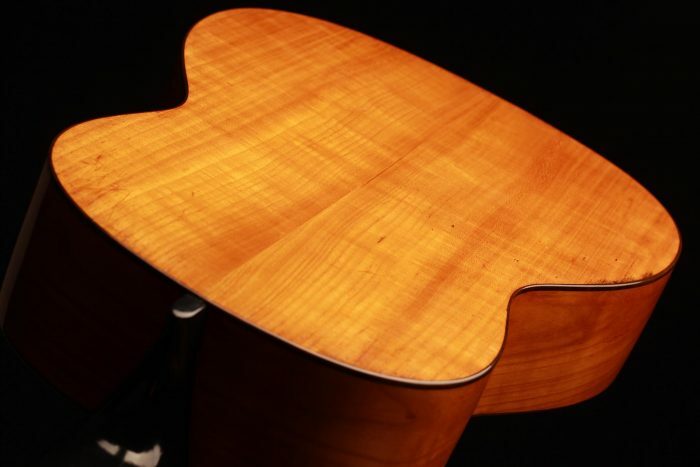 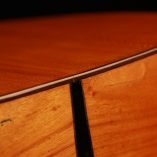 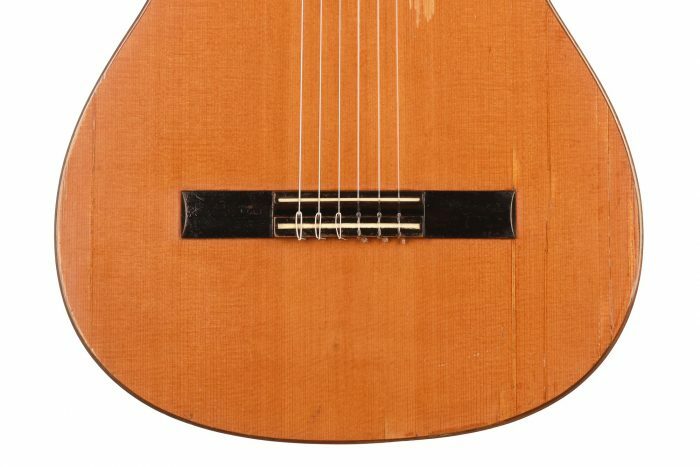 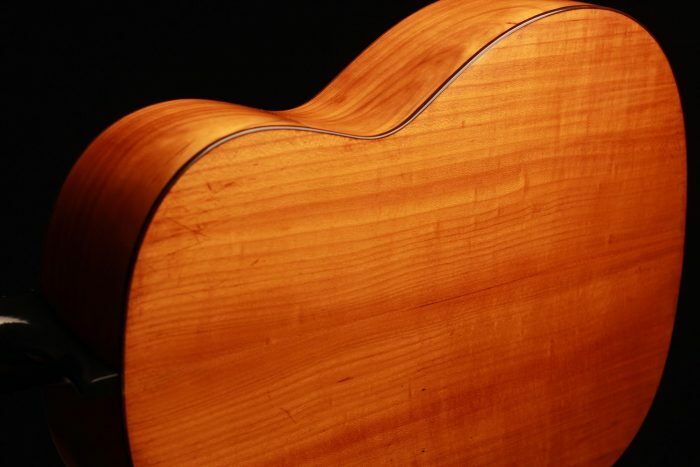 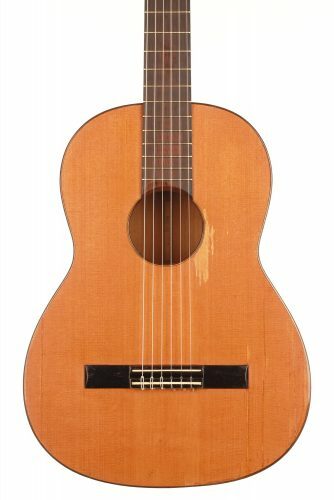 This guitar built in 1933 and bearing the number 33 0/9 is very refined. 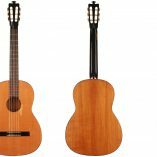 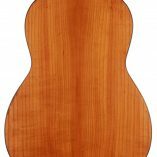 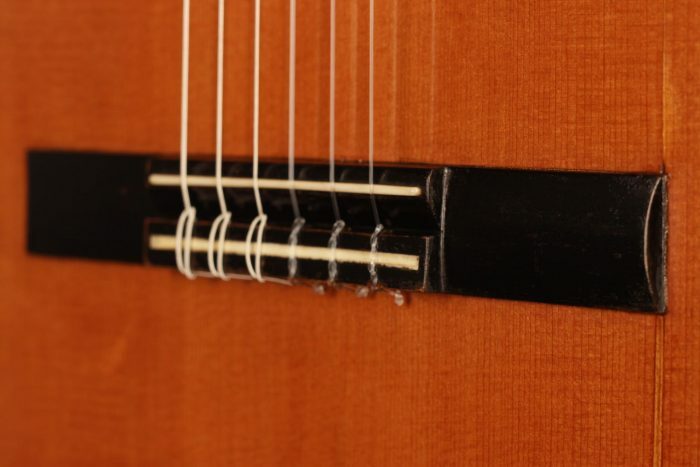 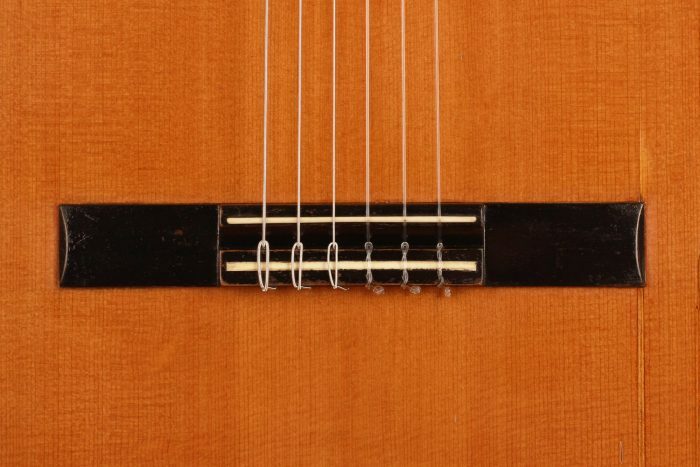 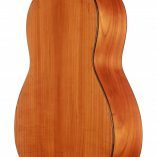 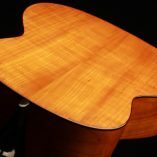 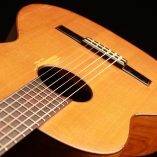 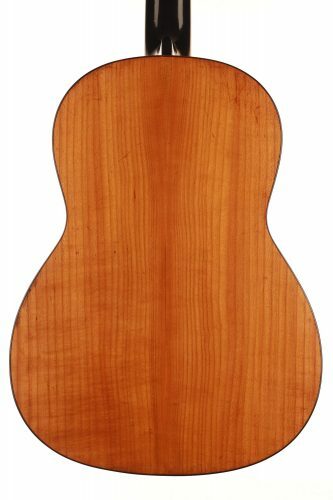 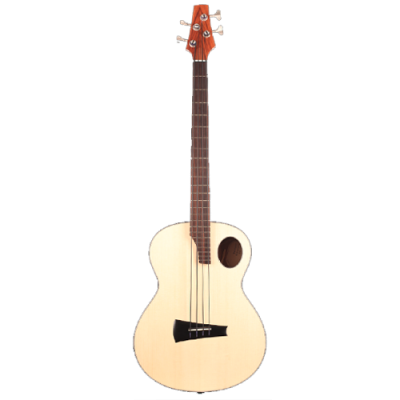 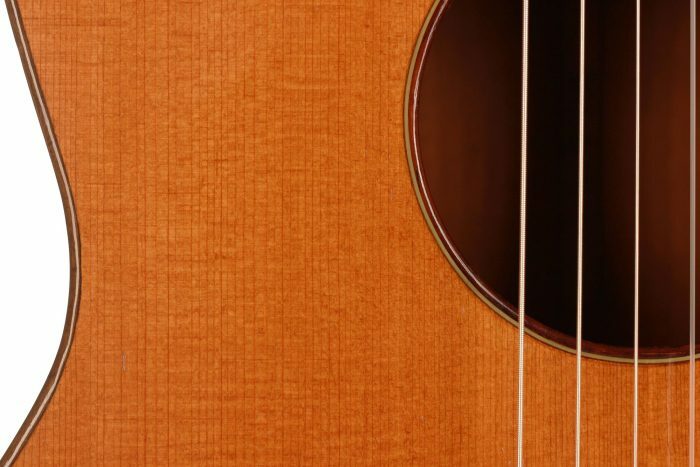 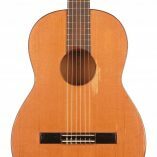 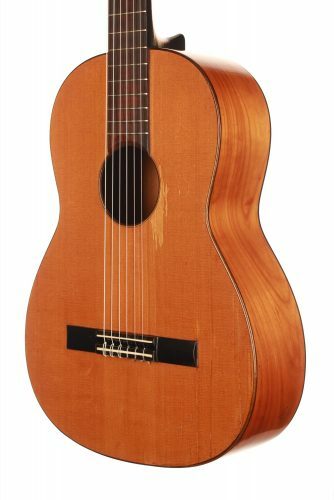 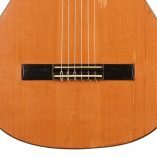 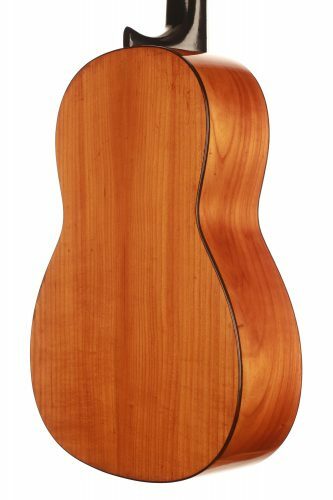 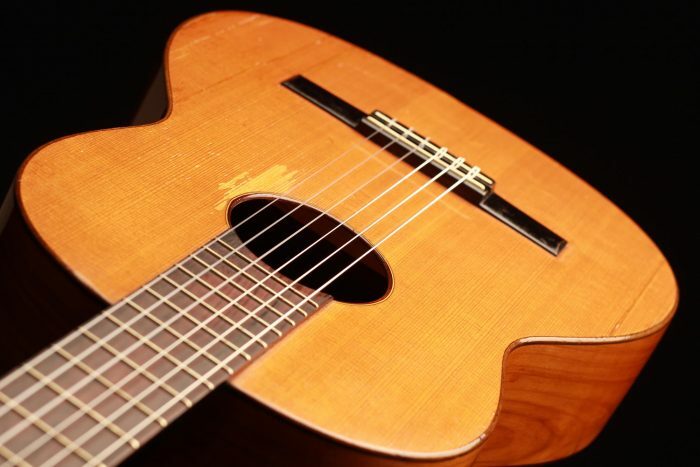 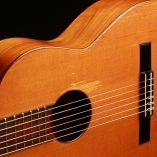 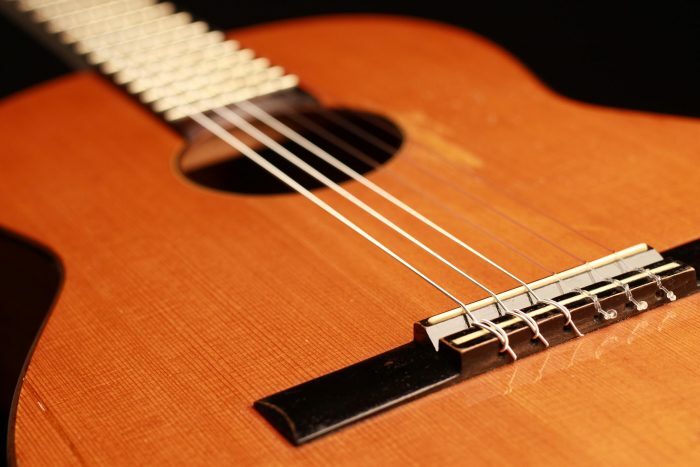 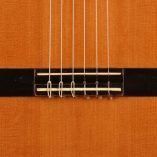 This Spanish style model has a three-fan bracing system and a Brazilian rosewood fingerboard (pre CITES). 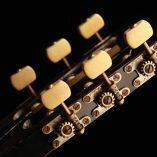 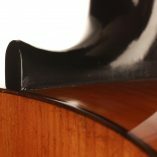 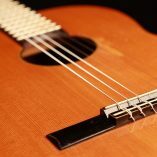 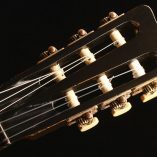 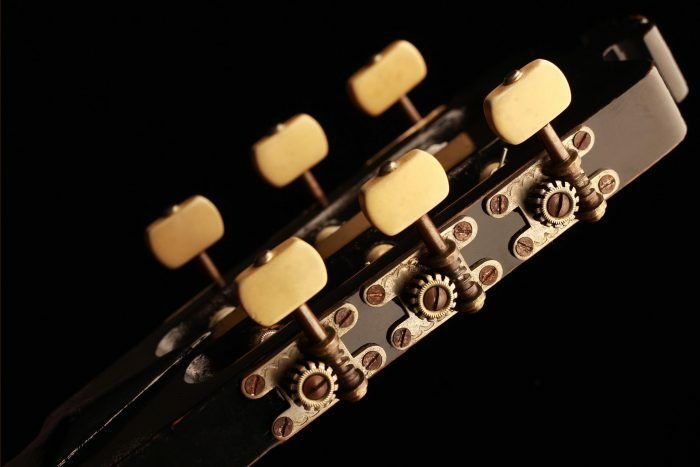 The head of the instrument has the particularity of ending with a floral motif and the original tuning machines are decorated with a fine engraving. 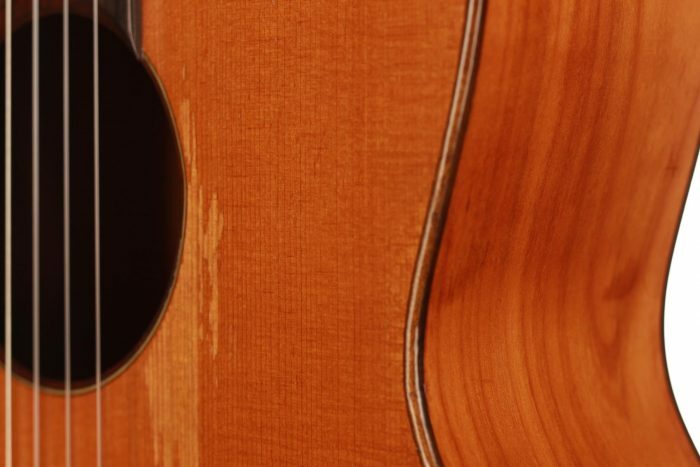 Some repairs have been made over the past 85 years. 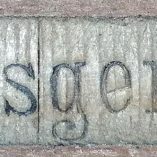 The top has been restored in several places. 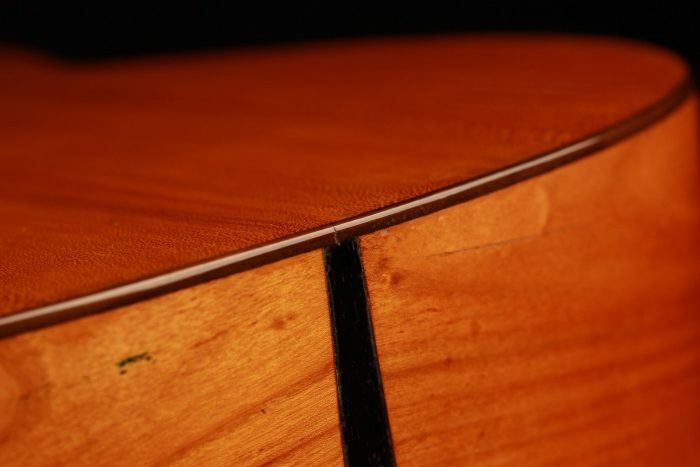 The cracks are perfectly stable and are reinforced with small diamonds of very good workmanship. 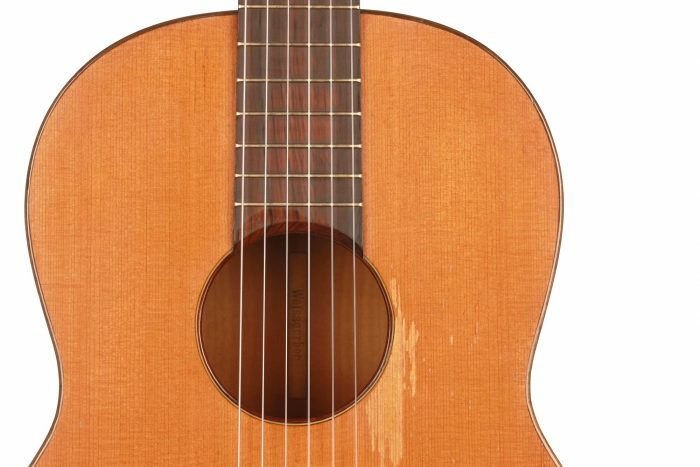 This guitar is now in perfect playing condition. 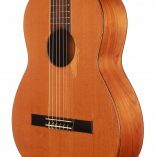 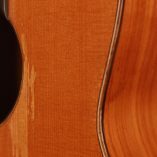 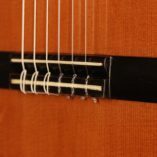 The neck is quite slim and the action of the strings is very good. 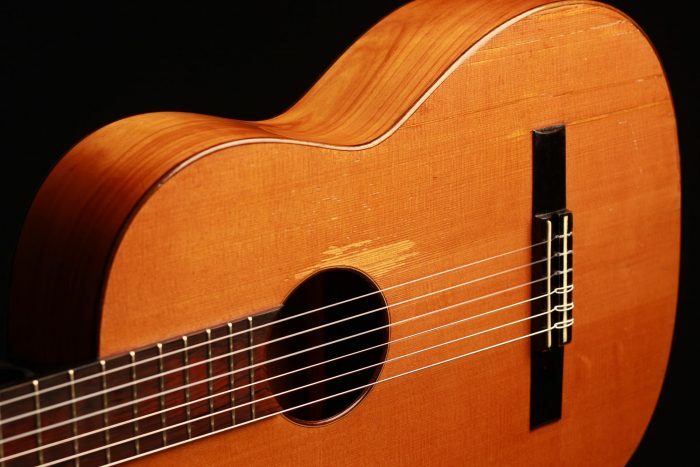 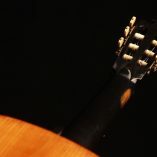 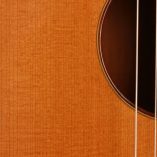 The sound of this guitar is of the highest elegance. 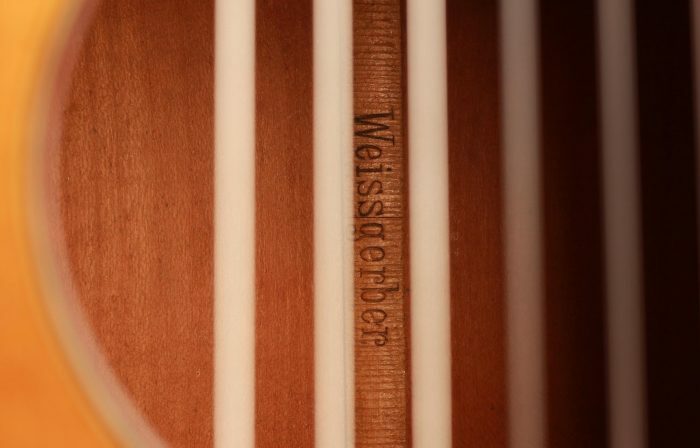 The separation of notes and the clarity of the timbre are very pleasant. 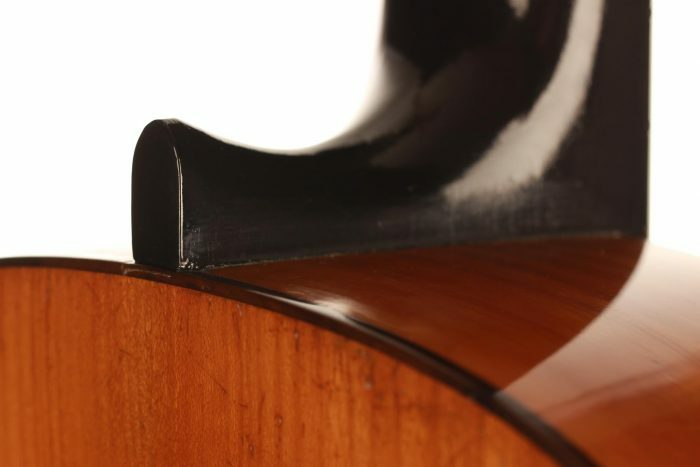 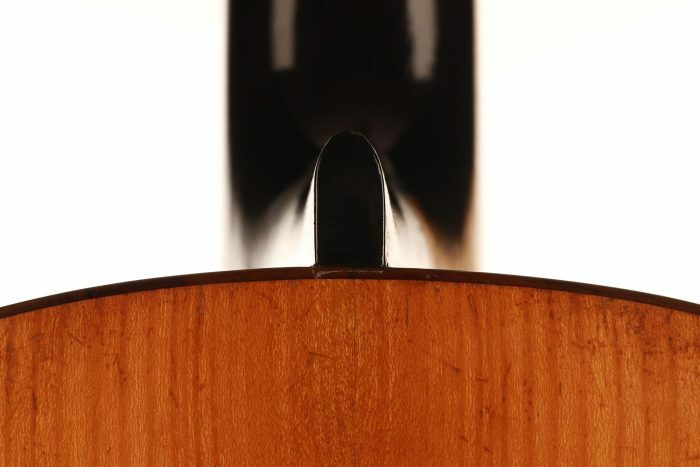 The purity of the harmonics also makes it a very precise and sensitive instrument.